Sen. Barbara Boxer said the San Francisco-based 9th U.S. 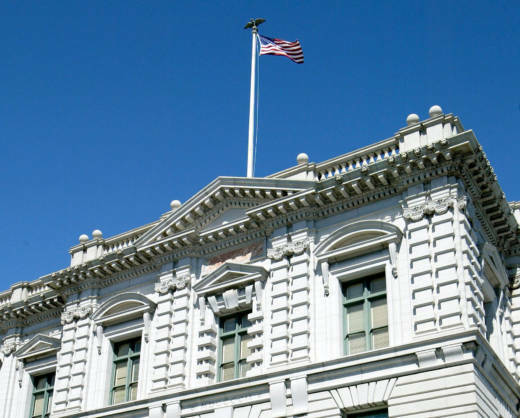 Circuit Court of Appeals is facing a “judicial emergency" as she called for a Senate vote Tuesday on San Jose-based U.S. District Judge Lucy Koh’s nomination to the appellate court. As the new year rears its head, the 9th Circuit is facing a four-seat vacancy: Two are currently empty and two will become vacant when other judges assume senior status at the end of 2016. Why are four vacancies on a court of 29 active judges an emergency? U.S. courts designate vacancies on the 9th Circuit as emergencies and critical to fill as soon as possible due to the court's huge caseload, according to University of Richmond law professor Carl Tobias. The 9th Circuit receives about 10,000 to 12,000 cases a year and decides on roughly 6,000. The court, which has a liberal-leaning reputation, covers nine states from red Arizona, Idaho and Alaska to the blue states of Washington, Hawaii and California, as well as Montana, Oregon and Nevada. With time running out to confirm Judge Lucy Koh and the other vacancies unfilled, it’s increasingly likely President-elect Donald Trump will be able to reshape the influential court. Tobias emphasized the importance of the 9th Circuit, saying it’s the largest in the nation by far, and it therefore has an outsized influence. It takes up cutting-edge cases, many of which arise from California, but also from the other states. But, Tobias noted, the Supreme Court reverses the court at a fairly high rate. Tobias said Obama could make a recess appointment of Judge Koh, but he doesn’t think that is likely to happen. It looks like the 9th Circuit, based in the Golden State, is going to get the Trump Golden Stamp.